We fabricate and export a wide spectrum of Wheel Tyre that are used in multiple areas and widely appreciated for its efficiency and durability. Our such assortment is known for great strength and high durability. 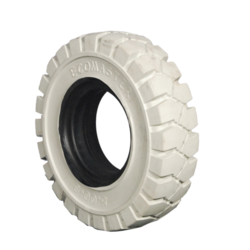 The range we offer is consist of Mold On Wheels and Mold-on Wheel Tyres, obtainable at genuine prices. We are one of the leading manufacturer and supplier of Non-Marker Tyre. We obligated to meet the quality standards as per the customer demand.